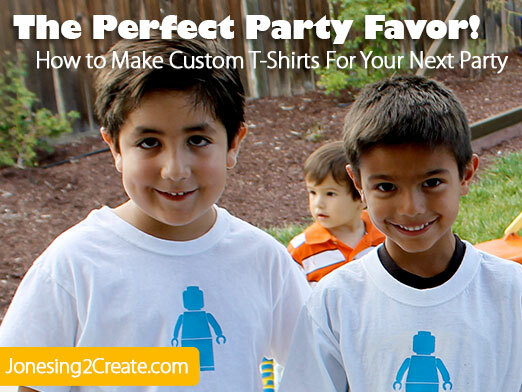 I have always loved to make custom shirts for my kids’ birthday parties. I have decided they are the perfect party favor! Not only do I get to decorate my house for the party, but I also get to decorate the kids! 😉 It is a lot of fun to see all the kids in matching t-shirts at the party. Custom t-shirts are way better than a goody bag full of candy. Parents don’t have to hear their kids begging for more candy after stuffing themselves full of birthday cake and ice cream. What parent wants even more cheap party favor toys lying around the house? They are crazy cheap to make! If you buy a pack of white Hanes t-shirts from Wal-Mart, it only costs about $2 a shirt to make. There are a few ways to make a custom t-shirt. Here they are in my order of preference! I make mine using my Silhouette Cameo. I like the Cameo better than the Cricut because it lets me custom design my own images and cut them out. The trace feature on it is awesome. It makes it really easy to pull an image into the Silhouette application and trace it, and then cut it out of vinyl. It is a really good price and it is easier to weed. Which is a huge deal, because heat transfer vinyl is a royal pain to weed! They also have a good video on how to do it. It is using a Cricut, but it is basically the same thing after the vinyl has been cut. If you don’t have a vinyl-cutting machine, most vinyl cutting businesses should also be willing to cut heat transfer vinyl for you too. The vinyl is pretty durable and I have found that if it starts to peel up, I can easily just iron it down again by placing a piece of fabric over the top and going over it with my iron. I have also learned that the glitter vinyl is more durable. Opps. Turns out that “anarchist” looks almost exactly like “antichrist” when it is in all caps. And while it is kind of funny to call your child an “anarchist,” calling your two year old the “antichrist” is not really socially acceptable. Since then the t-shirt has been moved to the PJ pile. I really like using fabric paint and stencils because you can make some really cool effects using it depending on whether you splatter the paint or dab it on. 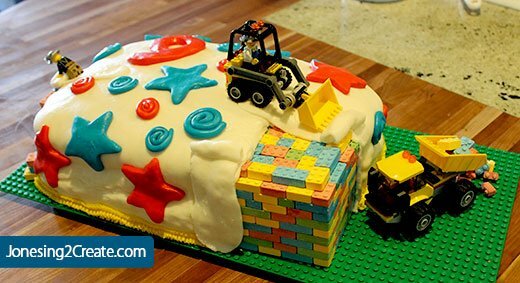 It is also really durable and lasts through endless washings. It is easy to use vinyl letters you can buy at the craft store as stencils. Kind of like I did here, but without the chaos. You can also cut out custom shapes out of contact paper and use those as the stencil. I have found that it works better if I dab the paint on instead of stroking it on with the brush. The paint doesn’t bleed under the stencil as much. Before I got my Silhouette Cameo, I used iron-on transfer paper a lot. They are easy to do and cheap because you only need your printer. You can also use photos with different colors. The problem is that the results aren’t quite as professional and the image is not as durable. But for making kid shirts, they are great in a pinch.